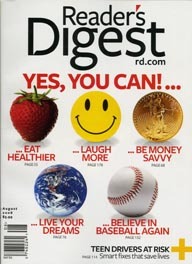 Reader’s Digest Takes a Page From Obama’s Campaign, and Who Landed on More Magazine Covers…Obama or McCain? 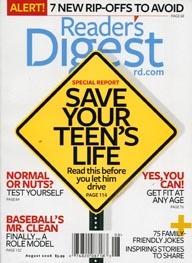 In yet another magazine example of offering different single copy covers in different areas of the country, Reader’s Digest in its August issue took the Obama’s campaign slogan “Yes, You Can” and used it on one of the two covers being sold on the newsstands. I wish I can say the other cover is a page from the McCain’s campaign, but by its looks I doubt that. The other magazine just published its fourth issue dated July 2008 is MindFood and its tag line is “Smart Thinking.” And, smart thinking it is. It has been some time since I have seen a magazine with Food in the title and is not aimed at the lower part of the body but rather at the upper part, and specifically the Mind. 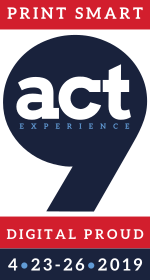 Published in New Zealand on a monthly basis the magazine is a great example of 360 publishing. 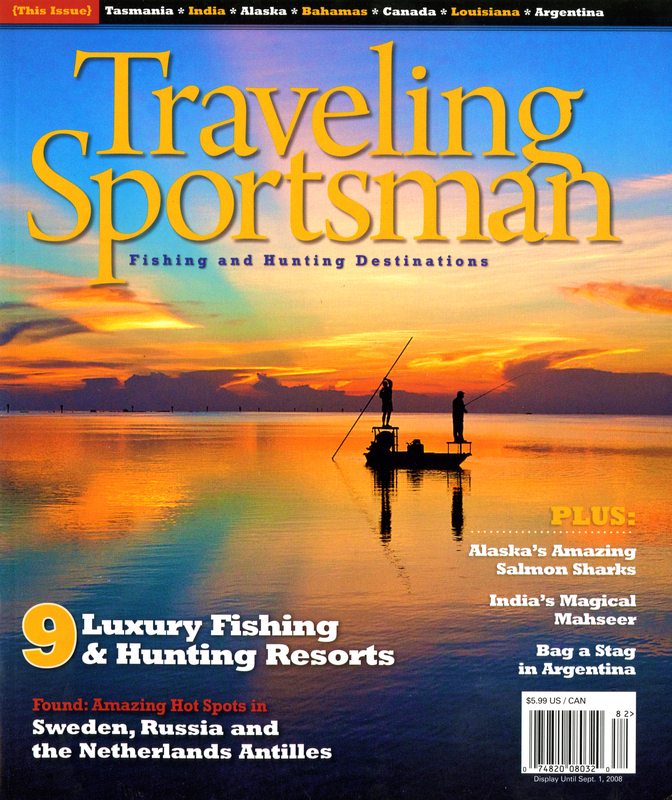 It is a well written, well designed glossy; it is online; it is tv; it is podcast; it is newsletter; it is gallery; it is puzzles; it is recipes; and it is shopping. 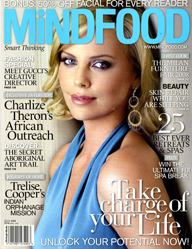 I have been using MindFood in all my recent presentations both in Europe and the United States as yet another example of a great magazine utilizing the power of print and beyond. 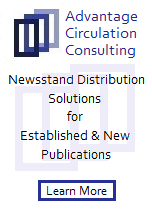 Talk about innovation in print, on line and off line. The total MindFood experience will leave you breathless. Check it here. As long as we can create magazines such as Green.2 and MindFood, there is no fear or doubt about the future of print—not today and not tomorrow. I said it before and it is worthy of repeating time and time again: our problem is not in our medium, it is in our message. The subscribers to Wallpaper* magazine received a treat unlike any that I have seen in a long long time. 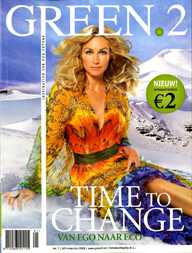 Their limited edition subscribers’ cover came with a cover that you can barely see the name of the magazine, the prices and the main cover line as you can see in the picture above. The issue is on The Secret Elite and in keeping with the theme of the issue the magazine opted, as a treat to their subscribers, to provide them with a secret only the sun will help them reveal. Inside the magazine readers were told “As we are in a secretive mode, the special ink on this month’s limited edition cover will only reveal itself in sunlight…” Of course, being me, I tried the light form my lamp, the scanner light and any other source but the sunlight. Nothing happened. I have kept my magazine in the dark for three days until I was able to scan it before venturing outside to the sunlight. Wow! Instant magic. The secret areas instantly turned to purple and I was able to read the name, the prices, the cover line and the secret code on the spine. However the magic did not last long enough before the colors faded back. It took two trips to the sunlight before we were able to barely scan the cover showing some of the magic ink as the first image below shows… The digital camera came to the rescue and a picture of the cover basking in the sun is shown next to the scanned one. 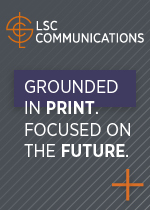 Talk about the power of print and the need for more innovative means interacting with our readers/customers. Yet another example of the VIP factor, i.e., the visual impact of print. An Answer to a 42 Year-Old Question? “Is God Dead?” was the question on the cover of the April 8, 1966 Time magazine. My late brother Khalil was three years ahead of me in our high school, Tripoli (Lebanon) Boys School. Time was required reading for the 11th and 12th grade students at the school. When I saw his copy of the magazine I could not wait for him to finish reading it so I can read it. (I was not allowed to touch it until he is done with it). That issue and that cover left quite an impact on me back then. Well, last week, visiting the newsstands in Memphis, I had a big flash back to 1966. I saw what looked like the cover of Time from 1966, but it was, in fact, Christianity Today (another magazine I got to know during my high school years in Lebanon thanks for a visiting pastor from America to our Presbyterian church in Tripoli). 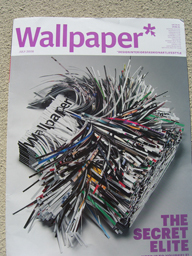 The cover of the July 2008 CT had the answer for the 42 year-old question Time magazine asked in 1966. In a similar take on Time 1966 cover (same color and design) the CT cover answered the burning question Is God Dead? 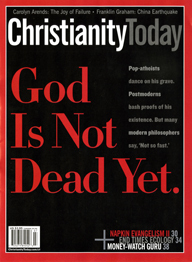 CT’s answer “God Is Not Dead Yet.” Issue settled for now… but that “Yet” may make room for a more definitive answer in the future, so stay tuned…maybe for another 42 years. At least we are making progress. 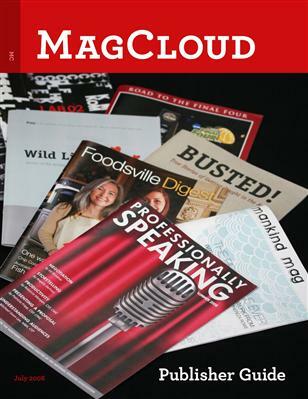 June came to the rescue of the total numbers of the new magazine launches with a total of at least 57 titles hitting the newsstands, two short of last June 07 and 20 more May of this year. The total number of new magazines launched so far this year stands at 291, still short 75 titles from the 366 titles published in the same period last year. However, the biggest drop this year comes in the regularly published magazines with a frequency of four times or more. The first six month of 2007 saw the launch of 132 magazines with the intention to publish at least four times or more. This year the numbers are a mere 78 titles. That is a drop of almost 40% than the previous year. This is a first since I have started tracking the magazine industry over 30 years ago. The specials continue to match the numbers of last year with a total of 193 this year compared to 197 for the same period of last year. The annuals on the other hand saw an increase from 12 titles last year to 18 this year. The remaining titles were those published two or three times a year. As I have written earlier, this is going to be the second year out of three that we are going to have a decrease in the number of new launches. 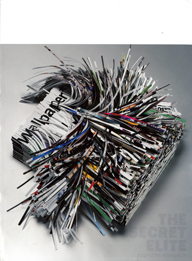 It is part of the life cycle of new magazines. The reason I believe June witnessed the launch of 15 new magazines with a frequency of four times or more is the old-aged belief in the fact that launching a magazine during hard times (think Fortune, Esquire, Entertainment Weekly) is often better for the survival of a new magazine than launching it during good times. It will take a year or two for the magazine to establish itself and the hope is that the economy will rebound and the new magazine will be ready for the marketplace. 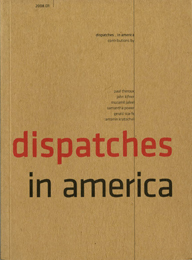 Some great magazines have been published during the first six months of 2008 that adds to my belief that the problem is not with our medium, but rather in the message we carry. 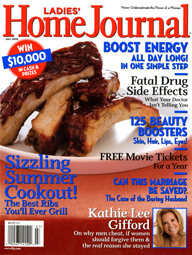 Check my reviews on what’s hot and what’s not here and take a peek at every magazine I was able to locate for the first six months of 2007 here. In my attempt to make sure that every new magazine is properly added and coded I make every effort to locate the first issue of the magazine. If yours is not here please feel free to send me a copy of the first issue to: Samir Husni, Box 2906, 105 Farley Hall, University, MS 38677. However this ever expanding trend is not only limited to the newsstands vs. the subscribers, but also continues to spread among different newsstands’ geographical locations testing different covers and different images. 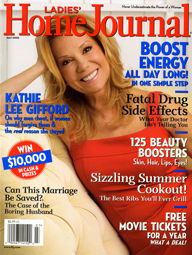 Ladies’ Home Journal’s July issue offers a split newsstands distribution with two cover photos, that of the celebrity Kathie Lee Gifford and the hot and sizzling summer cookout. It is fun to note that the ribs image did not make it to the Gifford cover, but Ms. Gifford was able to make it, albeit, in a very small inset on the ribs cover…go figure! 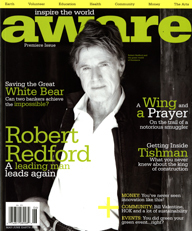 You are currently browsing the Mr. Magazine blog archives for July, 2008.